What exactly does offering the ultimate garage door springs service mean? To this garage door company it means providing a broken spring repair or replacement service that our customers in Fresh Meadows can depend on anytime; day or night. At our Fresh Meadows Garage Door Co., we provide a wide choice of garage door services; but none offer quite the danger associated with door springs. Our garage door contractors are standing by to provide door spring service to ensure your safety by a job well done. We carry a variety of the two main types door springs; the torsion spring and the extension spring. Both springs have to be wound to factory specifications and this should be done by a professional garage door technician. If one of these springs should recoil during servicing the results can be deadly. We also offer galvanized garage door springs. These come with a special zinc/iron coating that prolongs the life. The torsion is mounted at the door center for lifting heavy doors and the extension is to the outside of the door for lighter lifting. You should not play around with a garage door torsion repair service. If your existing opener is acting up, our garage door opener troubleshooting can resolve the problem. Choosing a new door opener means choosing a new drive as well. You can choose from a screw drive, chain drive or belt drive. The chain drive is the noisiest while the belt drive silent. 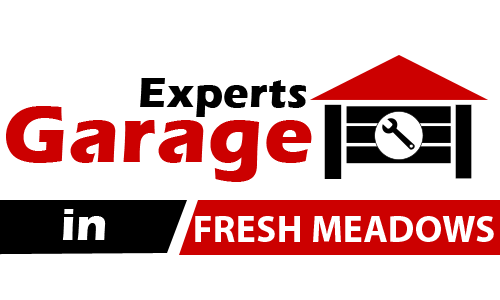 Garage door maintenance & adjustments are very dear to our hearts at our Fresh Meadows Garage Door Co. We are convinced that our regular lubrication and maintenance service is the answer to your garage door functioning efficiently and effectively. When our techs are done there will be nothing that is loose or not lubricated because that will cause you to have garage door repair problems prematurely. If you are looking for a superb garage door remote service then look no further than our garage door company/contractor in Fresh Meadows. With products such as Multi Code, Genie Intellicode, Liftmaster Security Plus, and Clicker you can’t go wrong. Our contractors can provide this service so effectively that you will be glad you didn’t try to do it yourself. If you are one of the many residents in Fresh Meadows who is trying to improve curb appeal; then our garage door replacement & installation is the way to go. You won’t find a wide range in styles and designs as the ones we have to offer. You can choose from an assortment of materials as well, like wood doors, steel doors, aluminum doors, craftsman doors, and glass doors. This is not a DIY project. Allow one of our pros at our Fresh Meadows Garage Door Co. to do it right for you. We put our money where our mouth is when it comes to garage door repair. Our customers in Fresh Meadows enjoy our seven days a week and twenty four hour service and we’ll offer our service the same day you call. Our contractors will fix that door off track and then do broken spring emergency release as well. They will tackle the weather strip and bottom garage door rubber with the same vigor. We can even replace any section of a garage door to prevent you from paying for a new door. That is just how we work at our garage door establishment in Fresh Meadows. Glass garage doors are taking the community by storm. These doors offer charm and elegance and deliver instant curb appeal to your home. This door will let the warmth of Mother Nature sneak into your garage to offer natural light for free. Let our contractors install your new glass garage doors. If you have ever experienced problems with garage door tracks and cables then you know how serious they can be. For that reason our techs have the experience to fix that broken cable or repair garage door tracks that are bent. 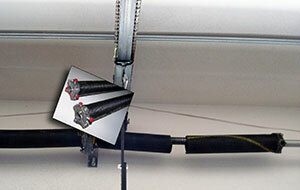 If you need garage door cable repair or any other garage service we will solve those issues quickly and effectively. Don’t worry if the cable is loose; our contractors will put it back quickly. We can replace garage track and have your door working like a charm.